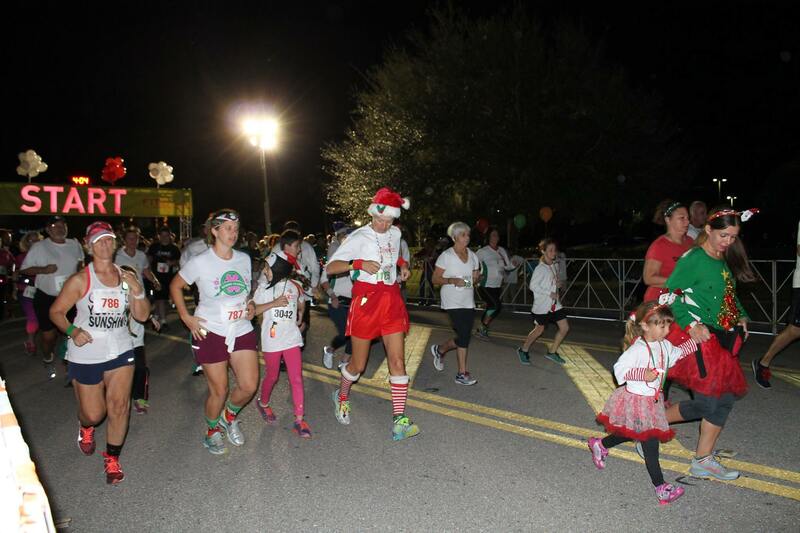 Runners are outfitted with jingle bells, laces and lighted flashers which we supply. There is festive, holiday music along the course and live music at the finish. When you're done racing, enjoy the huge post-race party including food and adult beverages (with proper ID). The Jingle 5K features a wave start based on a runner’s predicted finish time for safety. Runners can then pace themselves with their contemporaries. The first 1,800 Runners receive a colorful Leslie Jordan Micro-mesh wicking shirt excellent for training runs. Colorful award tiles three deep for categories 9 and under, then 10-14; 15-19 and five-year age categories to 80+. Overall M/F winners receive New Balance running shoes courtesy of Fit2Run. Master; Grand master; Sr Grand Master, and Veterans M/F winners receive 6" custom tiles and gift certificates. 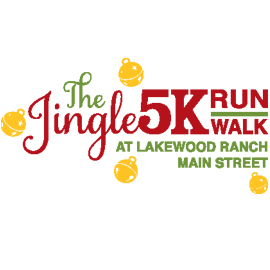 The Jingle 5K benefits the Lakewood Ranch Medical Center Auxiliary's Nursing and Health Careers' Scholarship Program. The Lakewood Ranch Medical Center Auxiliary is a 501 (c) (3) non-for-profit public charity.